This Saturday quite a few CVR members will be running the Unplugged Half Marathon in Burlington. And I know of at least three members running the Boston Marathon on Monday the 15th. Good luck everyone! For you weather geeks, looks like OK weather for Unplugged except for a strong SW wind (the point to point course heads SW). Boston looks like the same problem, a NE wind, plus a good chance of rain. Let’s hope the forecasts are wrong! 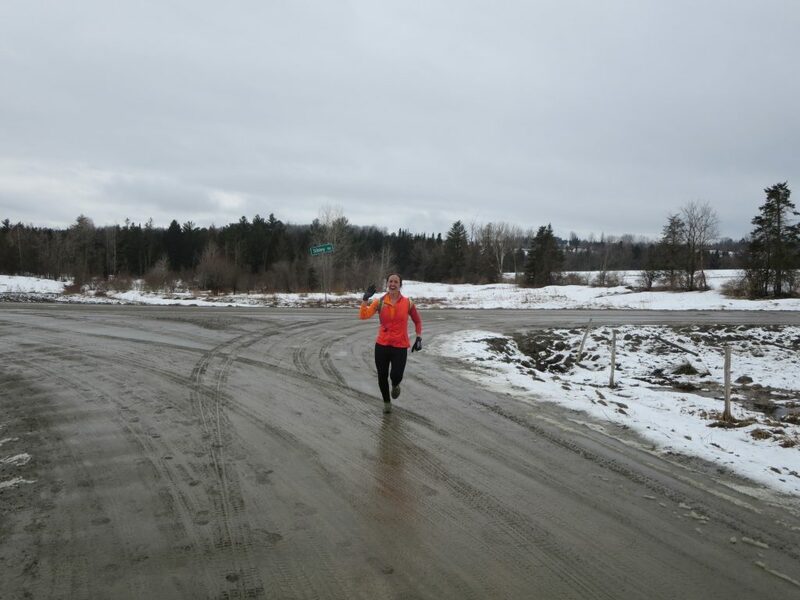 There will be a Winter Long Run this week for those not running the Unplugged Half Marathon. It will be in Northfield at 9:30am and hosted byRowly Brucken. Contact Rowly for questions or to tell him you will be there. The next newsletter will go out before the May Meeting (May 13). Start working on articles now and have them to Maryke Gillis no later than May 4. Some spring race reports would be good. Anyone going to Boston should write an article! An unfortunate scheduling conflict has caused the cancellation of the Kids Track Meet this year, originally scheduled for June 7. Montpelier High School could not accommodate us and other options were not acceptable. But we plan for it to be back in 2020. The annual tradition of greening up the Fun Run course will occur on Thursday, May 2. Meet at the Fun Run start at 5:30pm (behind VT Dept. of Labor on Green Mountain Dr.). Mack Gardner-Morse will be in charge and will have some bags and gloves, but you may want to bring your own. If you want to come early, Mack will be there early and will stay at the start until at least 6pm if you can’t get there at 5:30pm. This year’s green up is in honor of Scott Skinner, who passed away last year and was a frequent participant. Do you (or your kids) have track spikes gathering dust in a closet at your home? If so, would you like to donate them to a small school track and field team in the Northeast Kingdom? Craftsbury Academy’s track team is rebuilding this year from scratch and is in need of track shoes for its runners. Thanks to a CVR mini-grant, the team will be able to purchase several pairs of spikes, but not enough for all the kids who need them. The team’s first meet is on April 24. Over twenty kids have come out for the team this year, a 500% increase from a year ago. Please contact Jim Flintat jimflintvt@gmail.com if you have spikes and would like to help the team’s cause. Thank you! Those wishing to get out on the trails for the next few weeks should note that the Green Mountain Club has issued their annual mud season warning. While this past Sunday it was still very much winter conditions in Smugglers Notch with at least three feet of packed snow on the road, trails with little or no snow will likely be soft and not conducive to foot traffic.